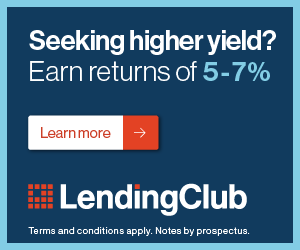 Lending Club CEO Renaud Laplanche, generally regarded as the face of marketplace/p2p lending has resigned his position at Lending Club. The resignation is based on the discovery that $22 million worth of loans were knowingly sold to an investor when the loans did NOT meet that investors buying criteria. It's yet to be seen if additional executives or employees will be let go or not although the CNBC articles says 3 other senior managers were let go too. It should be noted that the loans were repurchased by LC at par and then resold to investors whose criteria were met by the loans. While this is very bad news for LC and the industry as a whole (and LC's stock price is down 25% so far today), one very good sign is how seriously LC took this act and how quickly and decisively they have acted. Hopefully this is just an isolated incident.